The total field of the $ 10,000 buy-in Main Event of the World Series of Poker 2013 (WSOP) is finally known. They are 6,352 players who took part in the first days of competition, which generated a prize pool of $ 59,708,800. So, the winner of this year will win a significant amount of $ 8,359,531. A slight decrease in attendance was recorded this year. 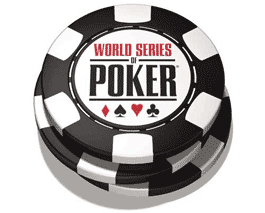 However, this Main Event 2013 is ranked eighth in the ranking of the 10 largest WSOP Main Event in history. The edition 2006 set the record with 8,773 participants. This poker tournament was held just prior to the enactment of the UIGEA (Unlawful Internet Gambling Enforcement Act), which prohibits the activity of online poker platforms in the United States. This fact suggests that record attendance could be beaten if online poker becomes legal again in the country. Note that the widespread legalization of the market is scheduled for this fall. In any case, the 44 th edition of the WSOP was a real success. It was attended by 79,471 poker enthusiasts from 106 different nations. Most of tournaments organized have already delivered their results. The Event # 59, the 2-7 Triple Draw Lowball has just crowned Eli Elezra as champion. The American won his second bracelet after his triumph in front of a field particularly exceptional. Among his opponents on the final table, we noted Michael Mizrachi, David Baker, David Chiu and Scott Seiver. He ousted Daniel Negreanu in the final duel. For this great victory, Elezra pocketed $ 1,373,236.